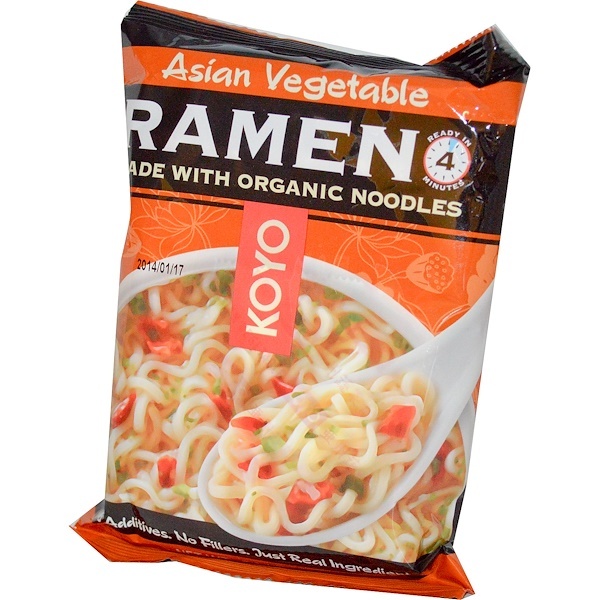 Koyo Ramen noodles are expertly crafted from freshly milled, organically grown heirloom wheat, prized for its superior quality and light, delicate taste. Our savory broth contains only pure, all-natural ingredients with no preservatives, no added MSG, or sweeteners. This delicious combination of silky noodles and flavorful broth will be sure to satisfy even the most sophisticated taste buds. Place 1 1/3 cups of water in a pan and bring to a boil. Add the noodles and cook for 4 minutes, stirring occasionally. Remove from heat and mix in contents of the enclosed soup packet. 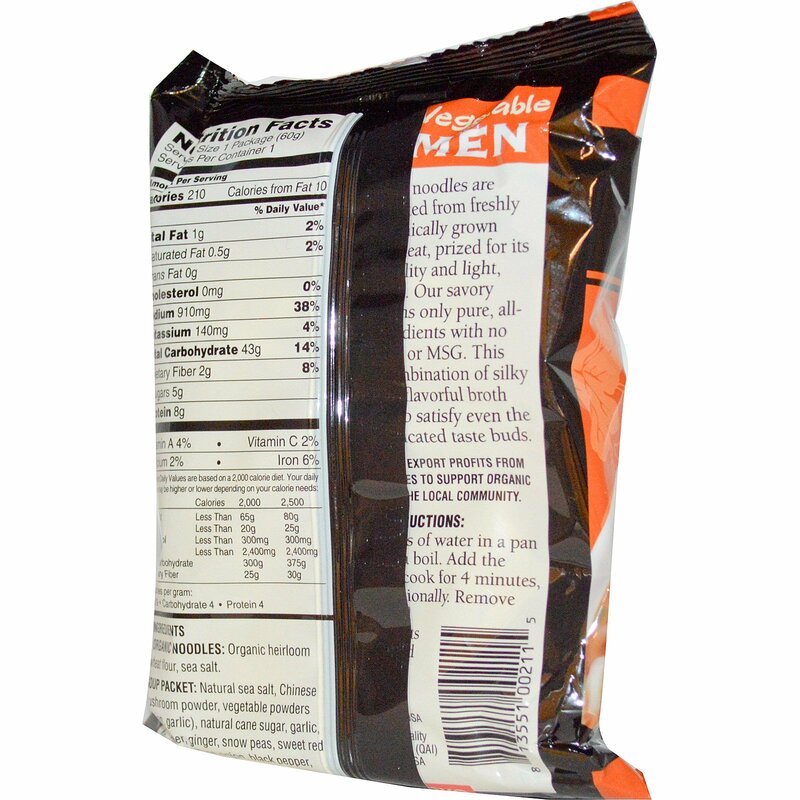 Soup Packet: Natural sea salt, chinese mushroom powder, vegetable powders (onion, garlic), natural cane sugar, garlic, chili pepper, ginger, snow peas, sweet red bell pepper, green onion, black pepper, kombu powder.